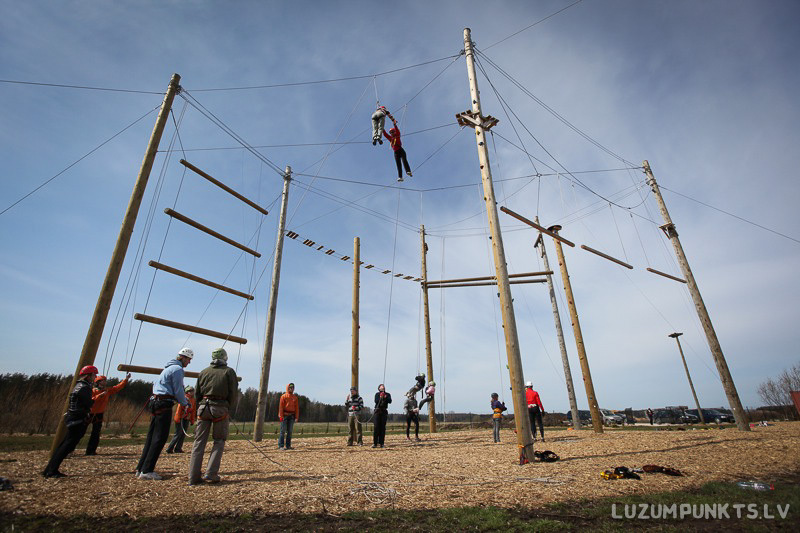 High Ropes course is an adventure organization “Luzumpunkts” made ropepark, operating since 2008 august. This park was created to be an effective method for team building and cooperation trainings, run by experienced trainers. Worth noting that the High ropes course elements are made to be done only together working in a group, so it’s not an individual track. 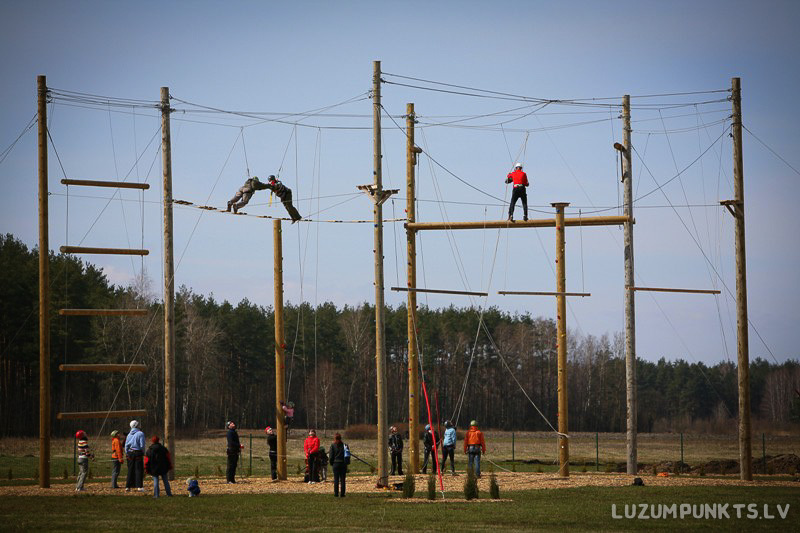 High ropes course is up to 11 meters high, where people communicate in unfamiliar environment, where individual’s real characteristics reflect in every human face, as well as communication skills in stressful situations. All tasks are carried out exclusively with each other together, supporting each other both emotionally and physically and morally. If your internal border say that height is not your environment, then your help from the ground, support and encouragement will be important for group members who will be at the top. 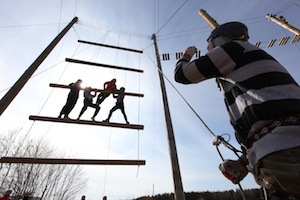 Low ropes course tasks are located on the ground or low altitude (up to 1.5 m). With the help of these tasks problematic situations are given that group have to resolve. After the search for solutions and results can be seen on the group’s role sharing, collaboration, communication and other important aspects that can be equated with real life and working environment. At the same time, any group member has the opportunity to take different roles, forgetting their normal daily duties and responsibilities.